The Utah Jazz announced today the local television and radio broadcast schedule for the 2018-19 campaign, which marks the 40th season of NBA basketball in Utah. Jazz fans will once again be able to tune in to AT&T SportsNet and The Zone Sports Network for comprehensive game coverage throughout the season. AT&T SportsNet begins its 30th consecutive season broadcasting Jazz games and is the official TV home of the Utah Jazz. The network will air 76 regular season contests, as well as three preseason games: Oct. 2 vs. Toronto, Oct. 7 at Portland and Oct. 11 at Sacramento. All games will be shown in high definition. Utah Jazz games are available on AT&T SportsNet in both the Rocky Mountain and Northwest regions, including Utah, Wyoming, Idaho, Montana and portions of Nevada. Games are also available out of market via a subscription to NBA League Pass. AT&T SportsNet provides fans with more ways to watch the Utah Jazz this season. Fans can download the AT&T SportsNet app or go to attsportsnet.com to stream from their computer by logging in with their participating TV account information. It is only available to customers whose TV subscription includes AT&T SportsNet. Viewers are encouraged to check now to see if their provider is participating. Subject to blackouts. Territorial restrictions apply. 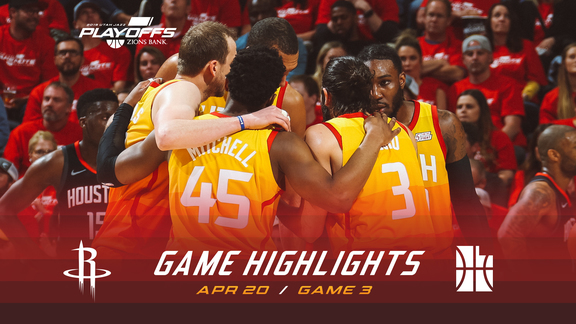 “Jazz fans have a great team coming off an exciting playoff run,” said AT&T SportsNet General Manager David Woodman. “We look forward to beginning the 30th season of our outstanding relationship with the Utah Jazz and providing fans with coverage of more than 75 regular season and preseason matchups. Emmy Award-winning play-by-play broadcaster Craig Bolerjack returns for his 14th year as the television voice of the Jazz. 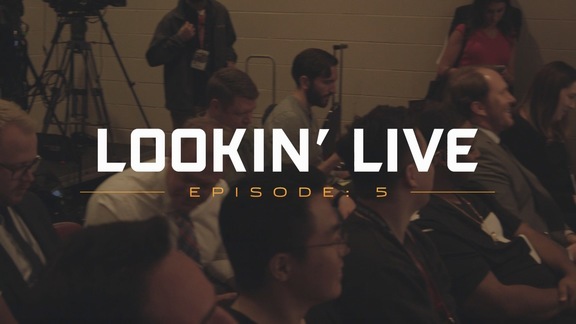 For the ninth-straight season, Bolerjack will team up with analyst and former Jazzman Matt Harpring for the majority of the AT&T SportsNet telecasts. Harpring played 12 NBA seasons, including eight with the Jazz (2002-10) under Hall of Fame Coach Jerry Sloan. Kristen Kenney enters her third season as the television sideline reporter for all Jazz telecasts, and former Jazzman Thurl Bailey, who spent 10 seasons with the Jazz (1983-92, 1998-99), will join the television broadcast team as the analyst for select games. 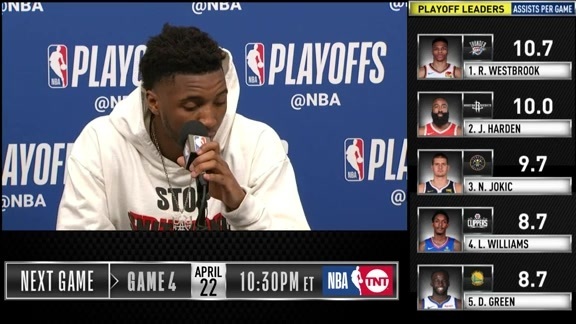 AT&T SportsNet telecasts will feature a 30-minute pregame and postgame show, along with a halftime show. Host Alema Harrington will be joined by former Jazzman Ron Boone, Bailey and Kenney pregame, while Mike Smith, a standout at Brigham Young University who played professionally, will join the pregame, postgame and halftime shows for select games. In addition to the local telecasts, the Jazz are also scheduled to appear on national television 17 times, including three TNT broadcasts (Dec. 6, Dec. 27 and Feb. 12), eight ESPN games (Oct. 19, Nov. 9, Dec. 25, Jan. 11, Jan. 23, Jan. 30, Feb. 22 and March 27) and six NBA TV broadcasts (Nov. 17, Nov. 23, Dec. 4, Dec. 15, Dec. 17 and Jan. 1), which are only available on NBA TV outside of the AT&T SportsNet Jazz territory. The Zone Sports Network, the exclusive radio home of the Jazz, enters its seventh season broadcasting Jazz games on 1280 AM and 97.5 FM. The Zone will air all preseason and regular season games starting Sept. 29 vs. Perth. David Locke, radio voice of the Jazz, will call the action for his 10th season, with Boone, who is entering his 31st season with the franchise, once again serving as radio analyst. Tony Parks returns as the radio sideline reporter, and former University of Utah star Britton Johnsen will join Jake Scott to host the Jazz pregame, halftime and postgame radio shows. The 2018-19 season marks the ninth-straight year the Jazz will carry a Spanish radio broadcast. Nelson Moran will return to call all regular season games on 1600 AM (KTUB), joined by Isidro Lopez and Francisco Vazquez. For the first time, the Spanish radio broadcast for 45 Jazz games will be simulcast live on Latino 106.3 FM (KBMG) this season. A complete broadcast schedule can be found online at nba.com/jazz/schedule. 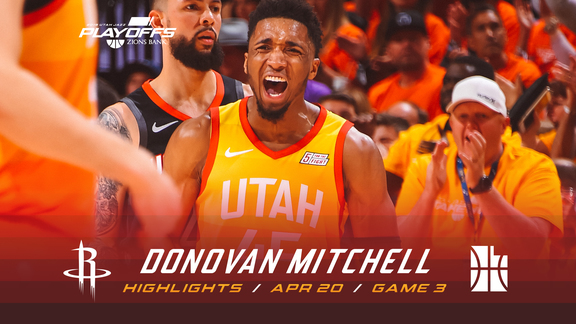 Fans can also visit www.utahjazz.com for comprehensive coverage of the games, including game previews, live stats, photo galleries, results, game recaps and video interviews.